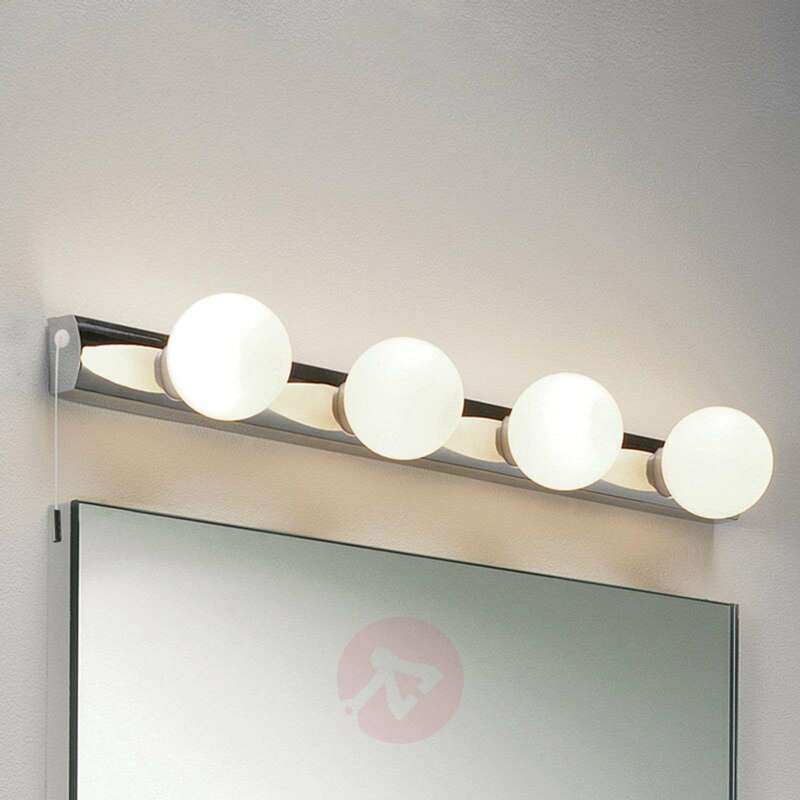 Inspired by the classic make-up mirror, the design of this wall light makes a striking impression, and illuminates the mirror perfectly. 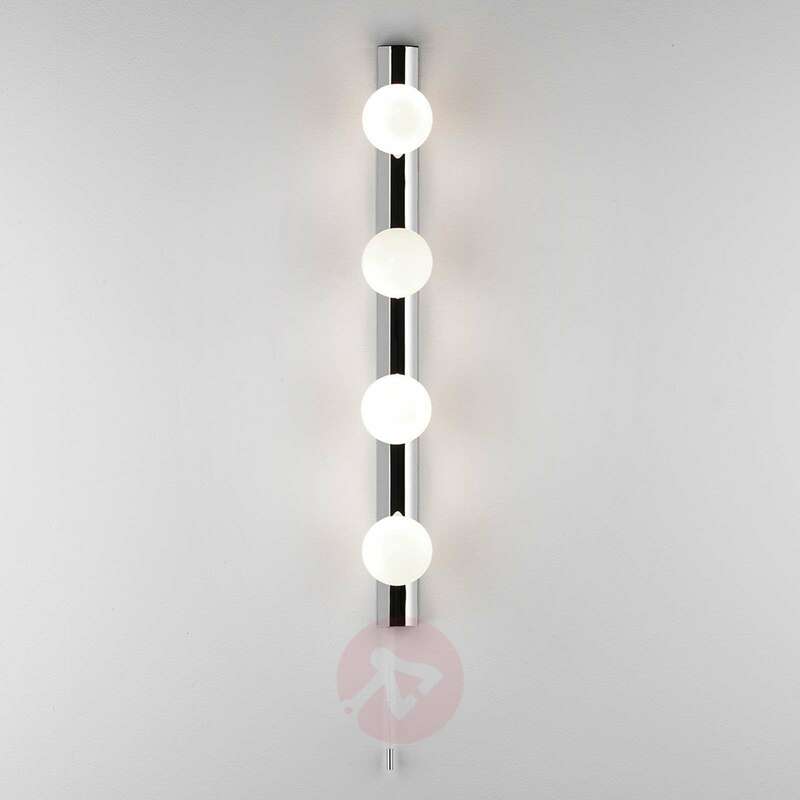 The four opal glass spherical lights on a stylish, chrome-coloured rail makes for an elegant appearance. 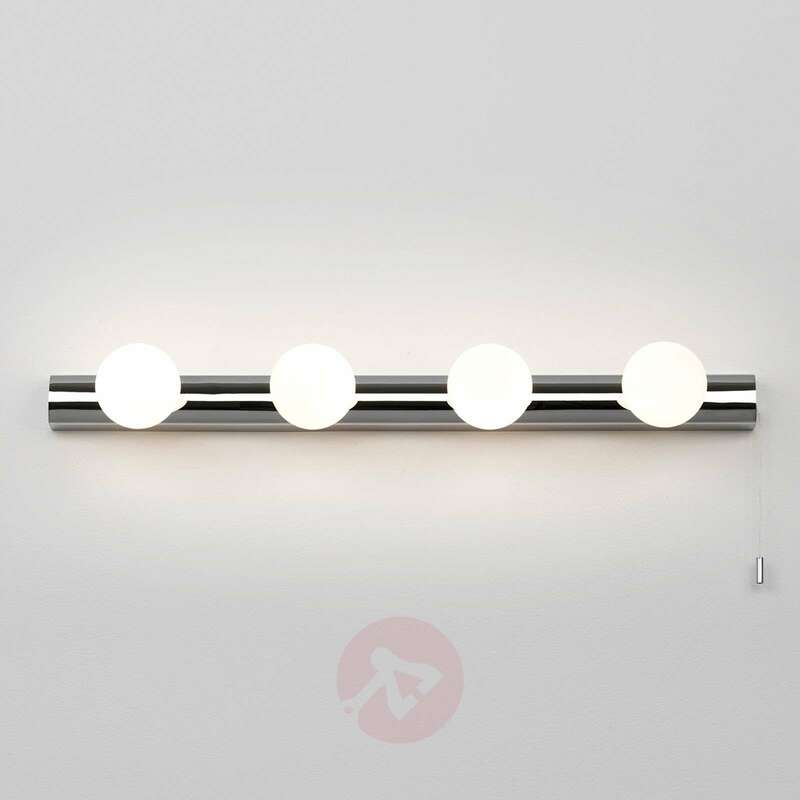 The wall light sets an attractive accent not only through its lighting effects. 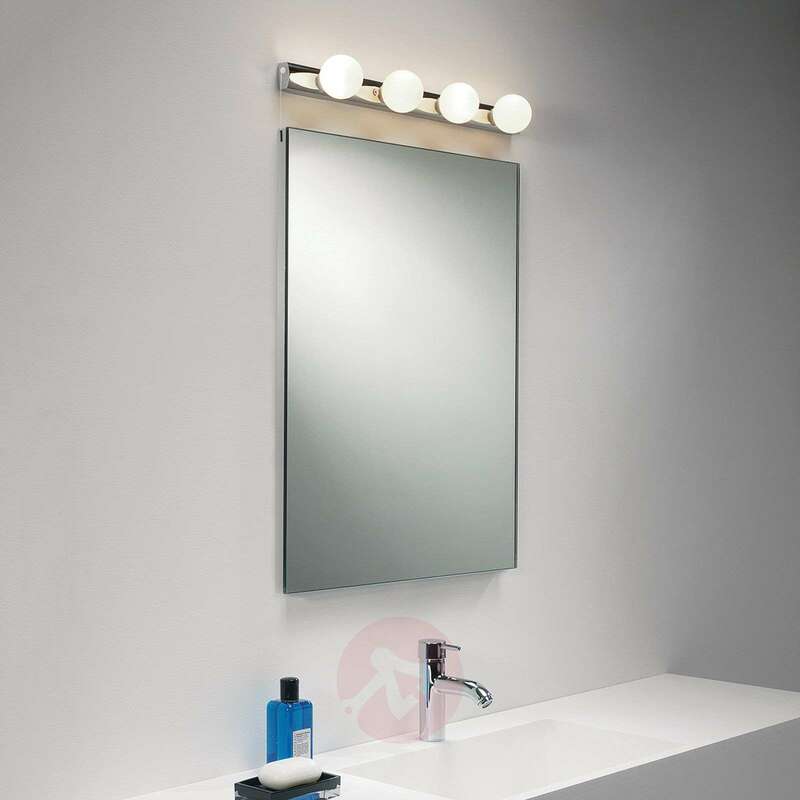 It is equipped with a pull switch for convenient operation.